Now, there are show runners and TV auteurs. They’re driven people who push their content and its narrative as far as they can. 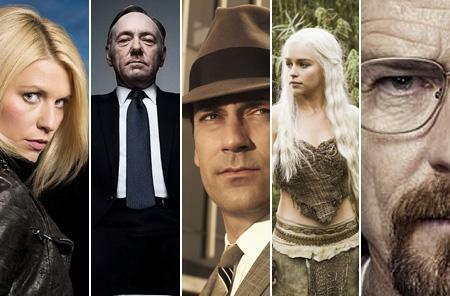 TV is no longer just about story and setting, but about characters and the increasingly detailed worlds that those characters inhabit reflect the desire from viewers for high quality TV. Due to the increase in funding, adapted distribution models, and internet viewers the face of television has changed. It’s no longer contextualised or tied to a specific country and the growth in this sector is huge. So, let’s have a look at some of the highlights of this US driven, TV drama craze. Of course this list will be subjective so feel free to add your thoughts in the comments section below. This is perhaps the show that started the ‘golden era’ of US serialised drama and it’s one that’s worth digging out. 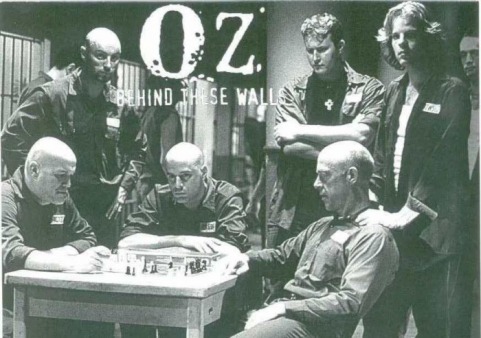 The show is set in Oswald Maximum Security Prison and the narrative takes place in a subsection of the larger facility. Dubbed Emerald City, it’s a place where the usual prison laws don’t apply. The inmates are under constant supervision and are required to partake in educational pursuits. This is an innovative show, at time really dark in tone, and it borrows stylistically from a number of postmodern tropes – think the panopticon. The Sopranos was perhaps the first big name (read blockbuster) TV series. It charts the life of New Jersey Mafioso Anthony Soprano. It’s gritty TV but there’s a human element to this gangster tale. Mr Soprano regularly visits a psychiatrist and articulates his inner demons and psychological struggles. This is an unusual narrative device in the context of organised crime and the often unpleasant and frequently violent Anthony Soprano is shown to be just as human as the rest of us – albeit with a decidedly different moral code. This show is written by David Simon and follows a number of disparate stories all linked by the city of Baltimore. The underbelly of the city is exposed and is populated by a number of different drug kingpins and foot soldiers. The police force does what it can but Baltimore is painted as a city unable to curb gangland violence. Everything comes full circle in the Wire and it becomes clear that life repeats itself. It doesn’t matter what criminal mastermind is killed, the streets simply fill his place and crime continues unchecked. This HBO mini series details the Shock and Awe campaign that brought Iraq to its knees. A timely show, Generation Kill follows a team of US Rangers spearheading the race for Baghdad. In lightly armoured Humvees, far ahead of the main US army, and with a Rolling Stone reporter in tow, Generation Kill is as action packed as it is political. Music is important in this show and it is used to great effect. The Rangers often sing pop songs to pass the time and it develops them as people first and foremost. Everyone’s heard of Lost and although the final seasons were ultimately a disappointment the first season is intriguing TV. The story follows a group of survivors from a plane crash marooned on an island. This island however is not what it seems and increasingly odd and intimidating circumstances ensure that survival is never guaranteed. Lost isn’t flawless TV but it is fun and it’s a show that captured the attention of millions when it aired. This is one of my favourite shows and unlike the ones mentioned above it’s still airing. There’s one more season to go and Justified is exciting and in some ways old fashioned TV. 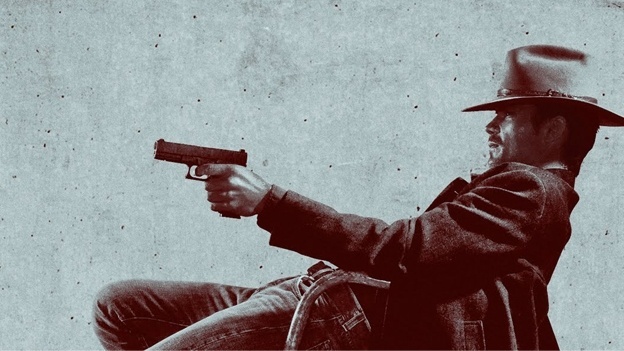 It follows the story of Raylan Givens (Timothy Olyphant), a US Marshal who is very handy with his gun. Raylan is effectively an old school gunslinger in the contemporary back woods of the US. Justified is about family and the way that the past impinges on the present and Olyphant conveys the blurred moral line of a man who uses violence for justifiable reasons. Starring Charlie Hunnam, Sons of Anarchy is about a violent motorcycle gang in Southern California. Based on Hamlet, often cheesy, and with a predictable narrative, Sons of Anarchy is a current show that provides loads of fun. The relatively small motorcycle gang is often outclassed and forced to play with heavy weights like the FBI, Mexican drug cartels, and the CIA. Really, this show is absolutely ridiculous but the gleeful way that it tortures its characters, and the battles that it forces them to fight, make it a show worth watching. Think Hollywood blockbuster and you’ll be close to imagining Sons of Anarchy. I don’t think much needs to be said about this show. The internet is over saturated with references and conversations about it. However it is an interesting show and its scope is much larger than much of what is currently available. Set in a fantasy world the show charts the rise and fall of a number of powerful militarised families as they vie for control of the Iron Throne. This is a zombie based television series and it’s based on a series of graphic novels. At its heart it’s about survival and discovering the things that are really important. The story is simple enough and it involves a group of survivors trying to eke out an existence in an increasingly post apocalyptic world. It’s not particularly good TV but when it works it works really well. Another crime based series from HBO, and I nearly didn’t include it. It follows the story of Nucky Thompson, an early sort of Mafioso in Atlantic City. It charts his rise and fall but often it falls short of really delivering. There’s a tendency for HBO to direct its television shows like its playing a chess game – setting it up for the final conflict – and this isn’t always interesting to watch. 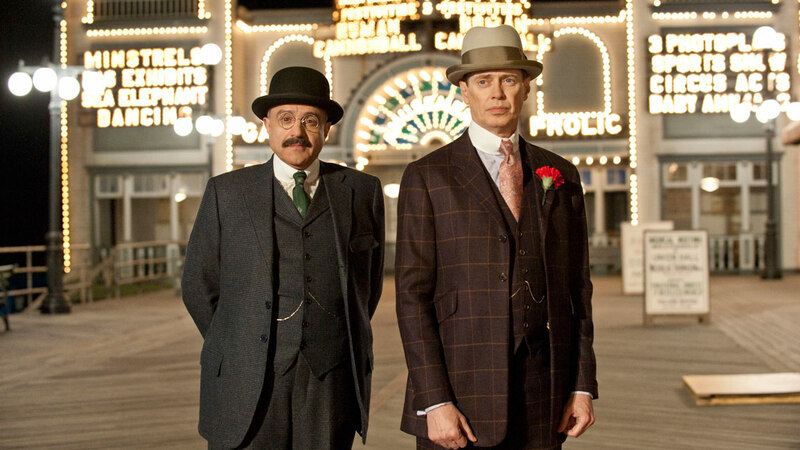 However Boardwalk Empire is well made television and it stars Steve Buscemi as Nucky Thompson. The first two seasons are really good and worth checking out. Based on an Israeli show, Homeland is a tense political thriller set in Washington DC. It involves a US Marine, Nicholas Brody, captured in Iraq and released a number of years later. His return to the US starts the narrative of Homeland and the question of who Brody is loyal to – the insurgents or the US – is the crux of the story. Homeland isn’t always good TV but it’s entertaining and fast-paced. This is one more TV show developed from another, the original Low Winter Sun was a Scottish mini-series set in Edinburgh. The story is transposed to the US and it follows two cops investigating the murder of another cop. The conflict is derived from the investigating officers being the ones who committed the crime. It’s an interesting show, but viewers would do well to revisit the Scottish original. It’s much more focussed and the acting and setting work better than in its US counterpart. This show is on Netflix and is one of an increasing number that don’t follow the traditional television rules. Released all at once, Orange is the New Black is binge worthy TV. It’s set in a female correctional facility and its notable in terms of its diverse and almost completely female dominated cast. The story involves a pretty blond lady sent to a prison full of violent offenders. She’s out of her depth and this fish out of water scenario forces her to become someone else entirely, someone capable of violence and able to survive. Kevin Spacey stars in this political thriller set in Washington DC. Originally a UK television show in the nineties, House of Cards is transported slickly to the US. 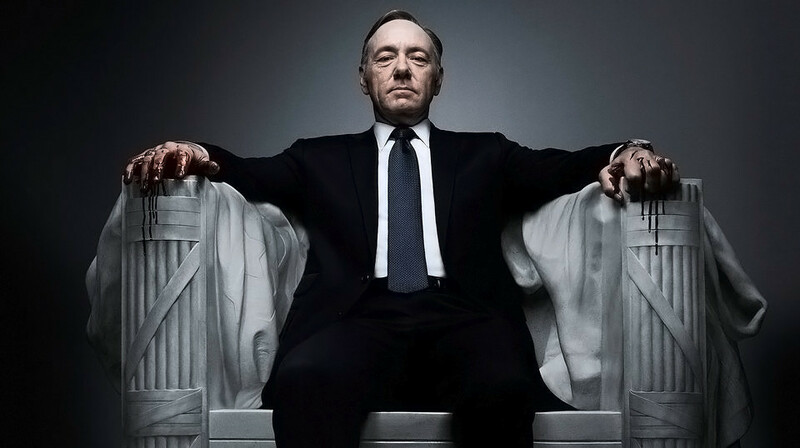 The best part about this show is Kevin Spacey’s portrayal of Frank Underwood, a US politician overlooked for promotion and hell bent on revenge. When I started writing this list I thought that it would be simple enough. However I found that it kept increasing and it was really difficult to limit my selection of TV shows. I ended up picking based on personal preference so forgive any glaring omissions. TV is a landscape that is changing and once we forget the traditional format and methods of delivery it can start to become more reflective of its viewers habits. Netflix and Amazon are changing the way that we consume TV but not necessarily the way that it’s made. All of the above shows are innovative and interesting drama series, and each one is worth a watch. Some don’t end as well as others but in a sense that’s a fault with the television format – a drama series isn’t designed to finish but to last. Give them a watch and decide for yourselves if this list is well considered or not.